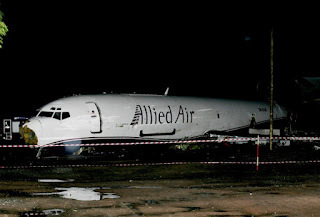 2 June 2012; Allied Air; 727-200; 5N-BJN; flight 111; Accra, Ghana: The aircraft was on a cargo flight from Lagos, Nigeria, to Accra, Ghana, and overran the runway after landing. The aircraft struck a minivan on a nearby road, killing all 10 of the occupants. None of the four crew members were killed. 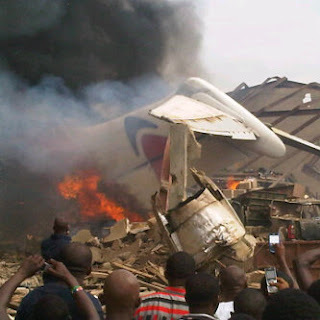 3 June 2012; Dana Air; MD83; 5N-RAM; flight 992; Lagos, Nigeria: The aircraft was on a scheduled domestic flight Abuja to Lagos, Nigeria, and crashed in a residential area near the airport. The aircraft was completely destroyed in the crash, and all eight crew members and 139 passengers were killed. The plane reportedly struck a power line and then crashed into at least one apartment building. 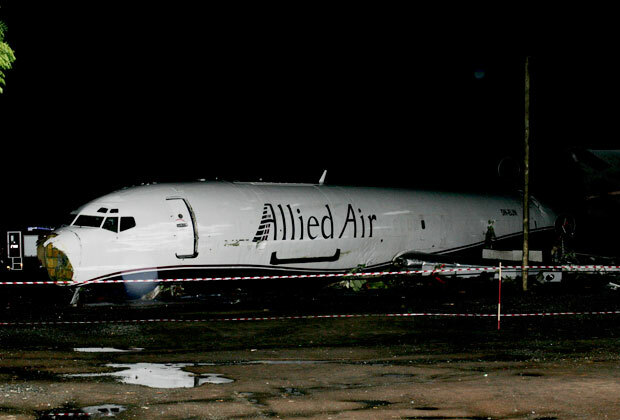 This was the 18th fatal crash of an MD80 series aircraft and the first since the August 2008 crash of a Spanair MD82 in Madrid. Hey,A plane crash on Sunday ? Wow, the lord of light must be very angry ! What the Nigerians forget to remember is important to say at the end of their words is( so it harms none) by saying these words it is safe to practice the old art however I think many in Nigeria are ruled by the power of money. It's ok my friends because Venus transit will bring love like you have never witnessed before. Stay true stay strong!Thanks to all! !Lynn Shattuck..